Letting Friendships Go. | Life Love and Hiccups: Letting Friendships Go. The thing about the decisions you make in life is, you can't help but wonder if you are making the right choices. Its easy to be swayed by emotions and navigating some of the paths we face can be very difficult, especially if you are drunk with emotion. Friendships is always one of those tricky paths to navigate, no matter what age you are. How long do you nurture a friendship for before you realise that perhaps it wasn't the friendship you thought it was and decide to just quietly let it go? If you are the one to always make the effort and to put yourself out there, do you eventually come to the conclusion that perhaps you overestimated the friendship in the first place and it wasn't as special as you once believed? If you are always the one who is giving and not ever really getting anything in return, is that friendship? At what point do you decide that your friend is just busy with the busyness of life and has forgotten to feed the relationship or that the friendship just isn't as important to them anymore as it is to you? The hardest part is not knowing whether to continue to put yourself out there in case they are just lost in the busyness and you would be a bad friend for walking away. What do you do in the meantime with these sorts of friendships when you don't know where you stand? How much time do you continue to invest in them, time that could be spent with others you love? How much do you continue to give, before you say ENOUGH, I can give you no more? I have a small handful of these type of friendships in my life and I can't help but look at them like I do with the bucket of shells that I have gathered on various holidays. 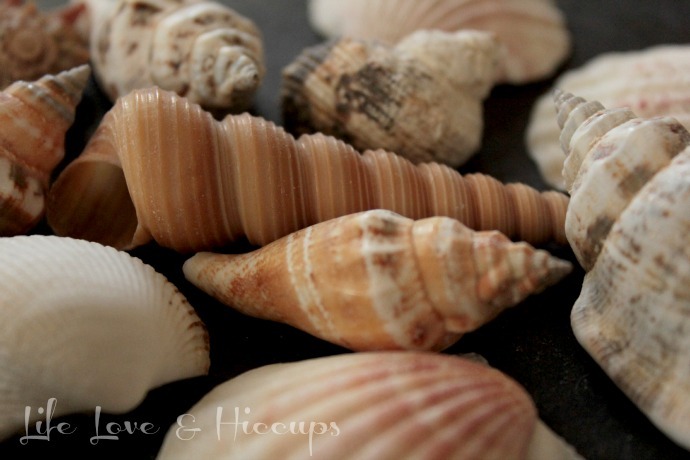 Shells that when I found them, I thought were so precious and beautiful that I simply HAD to have them in my bucket. But now upon retrospect as I look into the bucket and pick up each of the shells individually, I begin to see that they haven't travelled so well after all. I notice cracks and flaws that I didn't see before in my holiday glow, and I cant help but feel disappointed that they aren't as precious as I originally thought they were. Do you keep those shells in your bucket and keep adding to them with more you gather along the way, just enjoying them for what they are and the memories they represent? Do you be grateful for the most precious shells, put them somewhere special, somewhere where you will see them more often and appreciate them more frequently and just quietly return the others to the ocean? 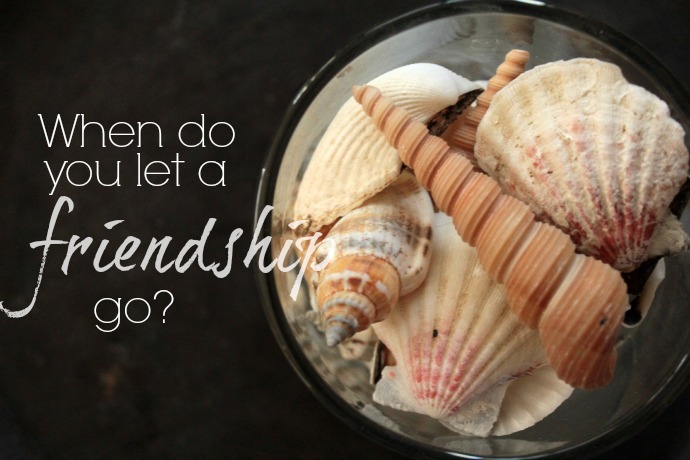 Have you ever let a friendship go?